Hot interior design trends are avidly followed by home lovers as well as designers. It’s not about blindly following design trends, but taking elements you love to freshen up your decor. There is never one trend to rule them all when it comes to interior design; even HOT interior design trends. This industry is ever changing and if you want to stay current in the design world you should definitely implement into your home some of the hot interior design trends coming in 2018. The key is finding the perfect combination of trends that will elevate your style without making the space overcrowded and miss matched. 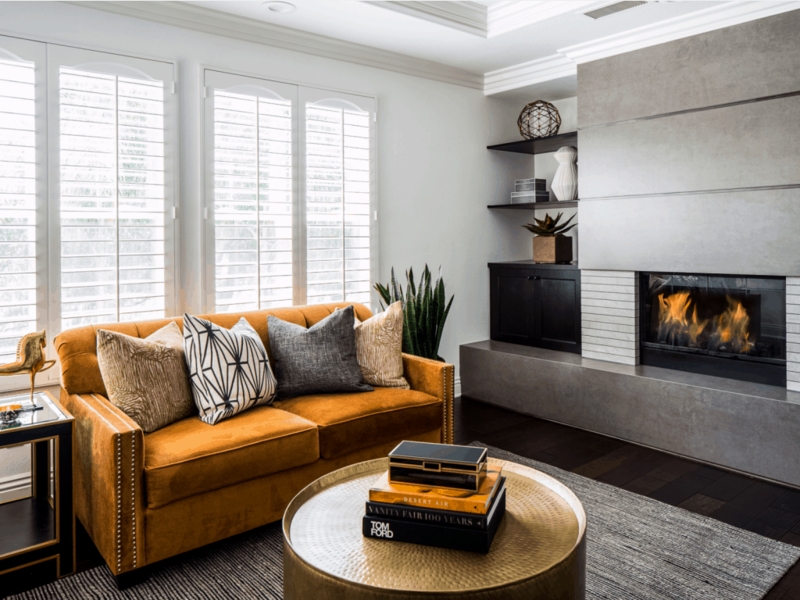 This article will give you an insight into hot interior design trends that await us in 2018, as well as a few pieces of advice on how to incorporate them into your living space. This is one trend that is sure to dominate 2018. It is all about looking up. Bold colours and patterns will be covering the ceilings in some of the most stylish homes. There are several key options that you can decide on. If you choose patterns they could be black and white graphic ones or bold coloured ones depending on the rest of the room. You can even go so far as to choose wallpaper to go on your ceiling, this can give your room a specific look that will be hard to forget. The right choice of ceiling decor can make it seem grander and taller, thus visually expanding the space in your home. Keeping in mind the busy lives we all lead, interior designers have come up with the concept of spa-inspired bathrooms. Neutral colours, light wood furnishing, stylish mirror, and of course a massage tub, or even better a jacuzzi. Topping the spa look are scented candles, fluffy towels and array of neatly stacked beauty products. The idea is that when you enter this space you are transported to one of the most luxurious spas, without having to leave the comfort of your home. The 2018 hot interior design trends will be focused on our necessity to relax when we get home. 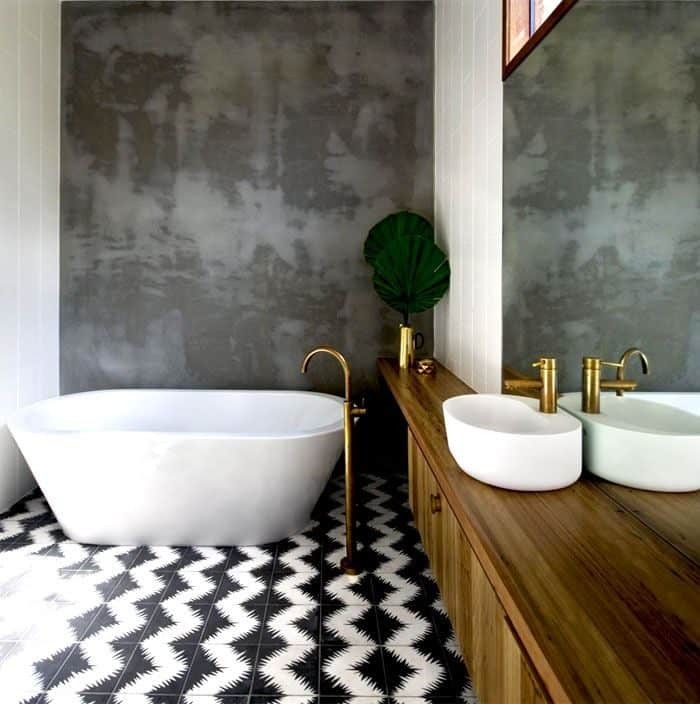 Australian interior designers are really taking this trend to heart, and naturally where there is demand supply is not far away. You can currently find some of the most stylish lounge suites in Sydney, and have them complete your living room design perfectly. In addition, the rest and relaxation trend also involves filling the space with a lot of pillows, books and candles. Everything that will serve as an incentive to sit, relax and remove the stress from our everyday lives. Definitely an interior design trend you’ll want to incorporate. If you want to stay on top of the 2018 interior design trends, now would be a great time to start researching which plants would go great with your home decor. This year it’s all about the greens. If you really want your space to pop opt for patterned flowers, they will add colour and texture and can liven up both your living room and your bedroom. 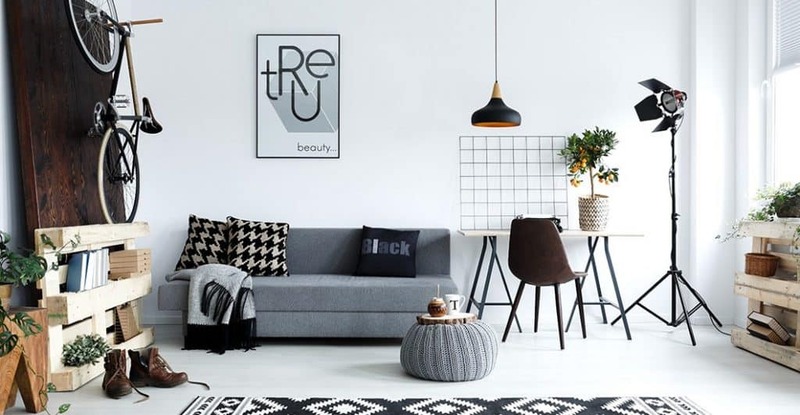 In addition, find out which species are beneficial for your health so as to incorporate that aspect into your search for the right pieces to green up your living space design. Metallic tones are definitely making a comeback, but with a twist. This year it’s all about learning how to combine your metals. Stainless steel with rose gold? Why not! 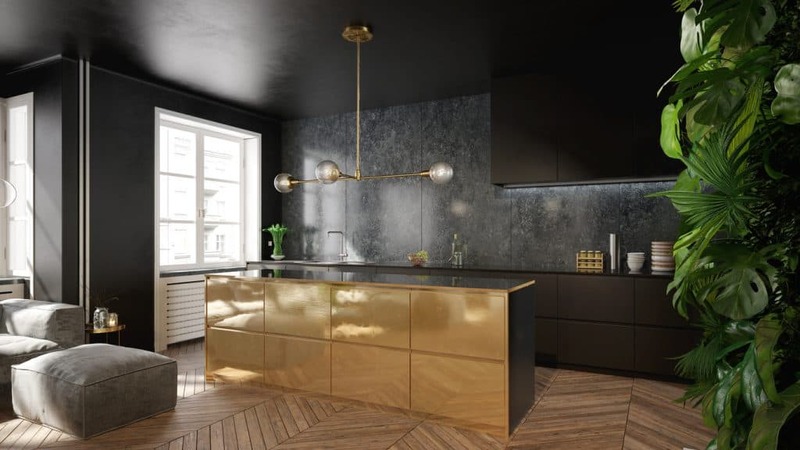 You don’t have to be a just gold or silver person anymore, there are a lot of great design ideas on how to incorporate these tones into your space. 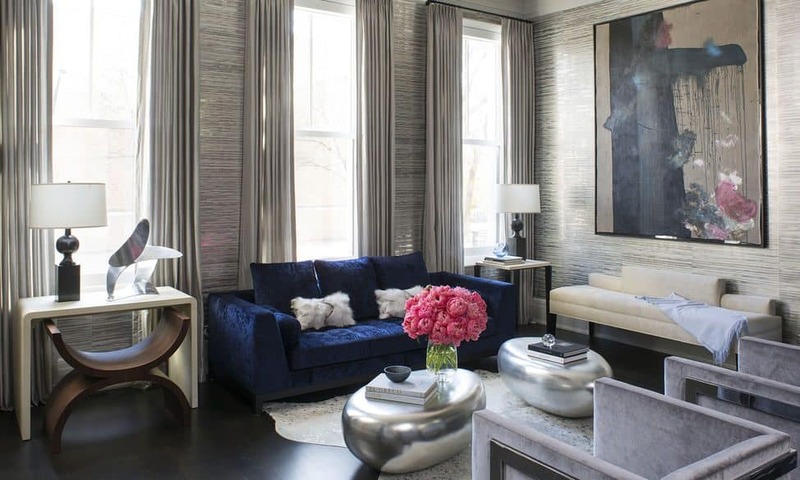 First of all, remember that metallic tones are not just associated with actual metals, they can be found all around your home from the artwork to the curtains. 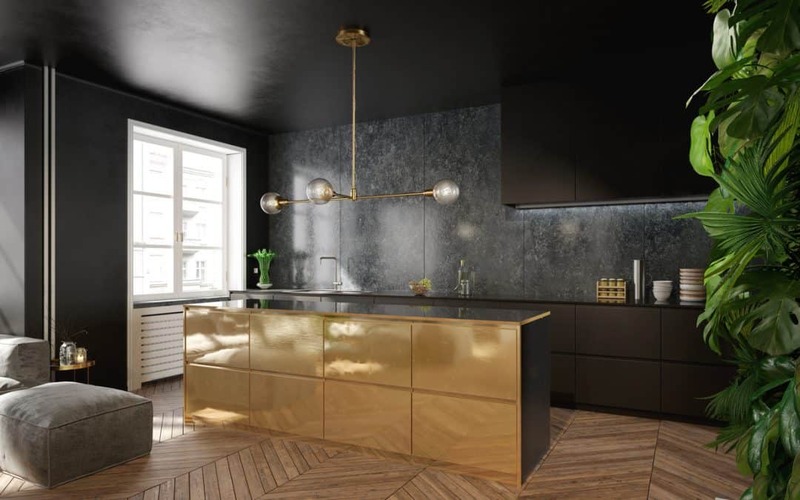 You can ease into the trend of mixing metals just by adding a few gold accessories into a sliver dominated space, whether it’s a mirror, a lamp or a pillow. A change like this takes time, but with the right combo, it will definitely be worth it. Eastern design will thrive in 2018 mainly via the incorporation of white paper lanterns. So instead of a chandelier hanging above your dining room table, opt for a large paper lantern, it will give more character to your dining space. This type of lighting fixture will definitely elevate your dining room decor and bring a touch of Orient into your home. 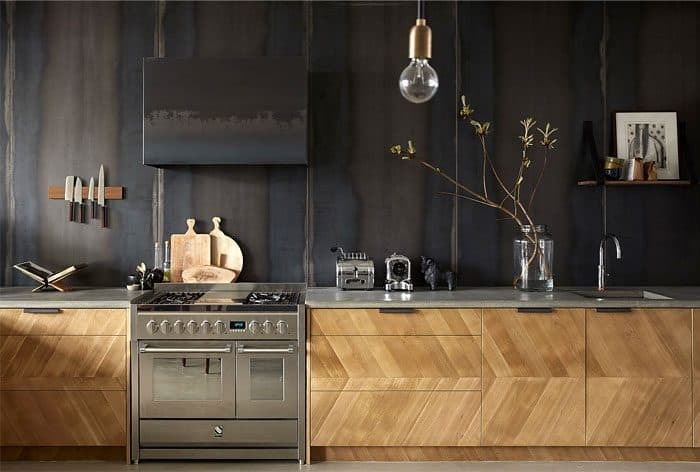 So there you have it, six hot interior design trends coming your way in 2018. Just make sure you pick the ones that are best suited to your personal style and home decor. 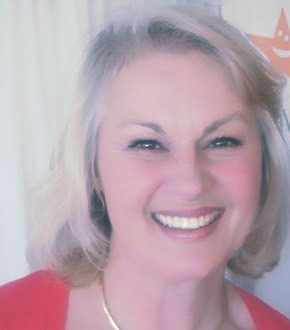 Whether you are building, renovating or selling, contact Penelope at Plush Design Interiors, Adelaide’s premier interior design studio for creative and plush interiors. 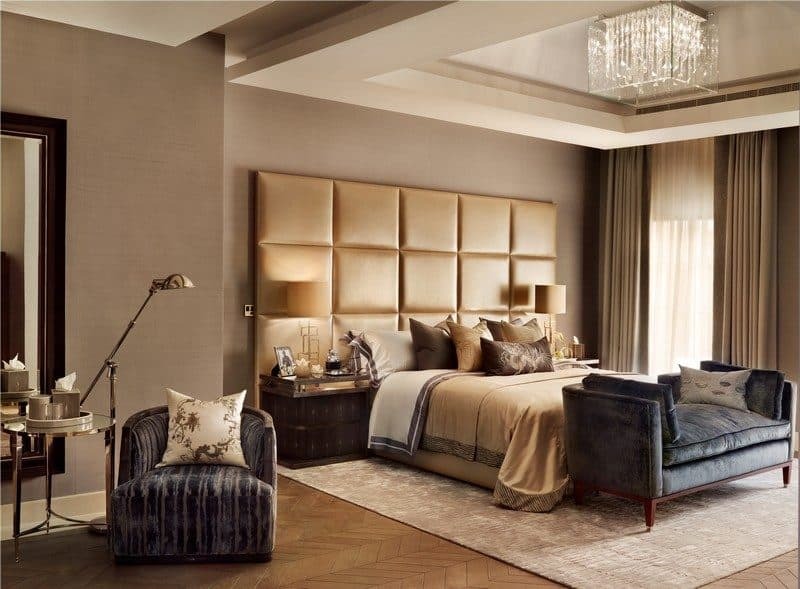 Plush Design Interiors – modern spaces for the renegade heart. Lana Hawkins is an architecture student and the editor-in-chief of Smooth Decorator. She enjoys writing about interior decoration and landscaping. Lana is interested in sustainability and green building, and that’s where she gets most of her inspiration. See Lana’s 11 other articles here on Don’t Call Me Penny by searching her name in the ‘Search’ box on the side bar to the right.